I have been a wedding officiant in Long Beach for many years, and I have officiated weddings of all kinds, including civil weddings and religious weddings, all over Los Angeles County and Orange County in many Long Beach Wedding Locations. Some of those weddings have been at The Grand, a wonderful Southern California wedding venue that you might consider for your wedding. 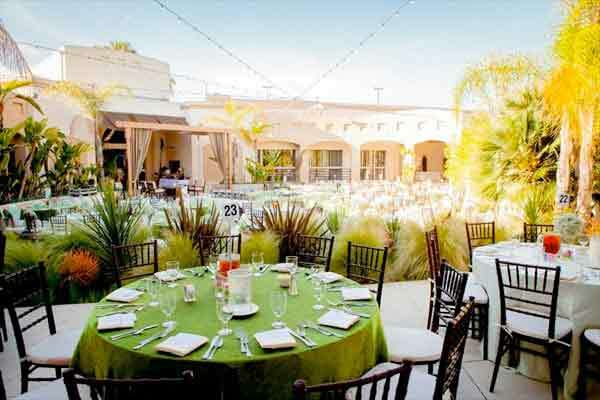 The Grand event center in Long Beach is a stylish 40,000 square foot complex that covers four lovely landscaped acres with seven customizable wedding and reception spaces both indoor and outdoor. 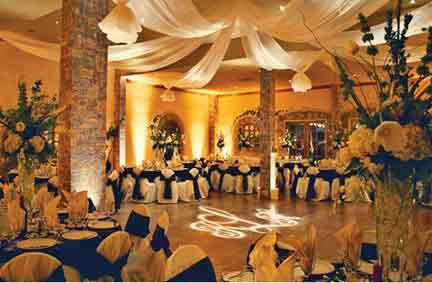 Depending upon the space you choose, your wedding can be as intimate as 25 guests and as large as six hundred guests. The Grand is a full-service event venue that provides catering and all of the minor details that add up to a memorable wedding day! It is centrally located, and freeway close with complimentary parking for you and your guests. Complete Wedding and Reception Packages include a themed wedding room, a personalized wedding cake, and lovely your garden wedding ceremony. You can choose to have your reception inside or outdoors and you will enjoy your own private bridal room. At your reception, you can select from a range sit-down wedding meals or buffets. Ask for a private tasting to help you decide. As you plan your Southern California wedding ceremony and reception in Long Beach or anywhere else in Los Angeles or Orange County consider the variety of options available at the Grand. 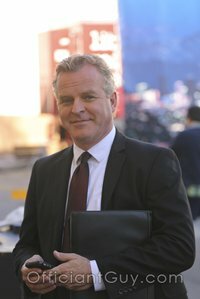 And please consider the most popular wedding officiant in Los Angeles County, the Officiant Guy, as your wedding minister. 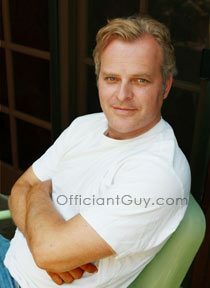 Chris has been a marriage officiant for over twenty years. He’s worked with people from all over the world and has received the respect of countless partners since he is, in fact, a marriage-license-issuing notary, in addition to a wedding officiant, and an attorney. Call this wedding expert now for your marriage ceremony and license at (310) 882-5039 or (562) 547-3255 or fill out the contact form here.